A number of people expressed disbelief at the Finance Minister's statement in Parliament that someone earning $1000 per month, can own a 2-room HDB flat. I want to state here that it is true! 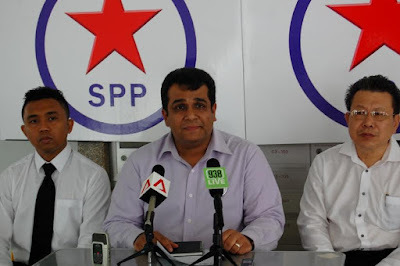 The ruling Party's loudspeaker need not have gone the length to prove that the Deputy Prime Minister is right. But what is also true is the fact that this is not new. This was true way back in 1985 (at least). 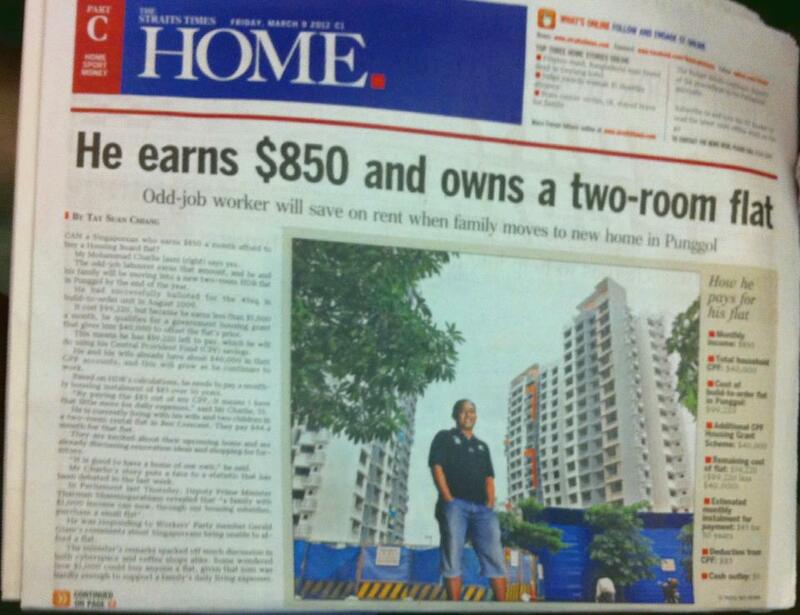 That was the year my mother bought a 2-room HDB flat with an income of less than $1000. Some of you know that I come from a disadvantaged family. After my father went MIA in 1981, my family split up and I ended staying with my relatives. Through all these, my mother was my hero. She held down three jobs to send her 3 children to school and to make sure that our needs were all met. In early 1985 (after not being able to be together as a family for 4 years), my mother decided to buy a flat from a low-income, walk-in selection scheme HDB had at that time, and she successfully became the owner of a 2-room flat in Jalan Bukit Ho Swee soon after. Finally, the four of us (mother, my 2 sisters and I) could be together, after such a long time! Sweet relief! The real question we have to ask ourselves though is, is something deemed good enough in 1985, still good enough today? In 1985, it was ok for 3 women and a young man to share a 45 sqm space. Although there were many problems like 'where do we change the clothes? ', 'how do we sleep? ', etc, the space was still something that we could call home. Since 1985, we've developed into a first world country. Our concept of space has also changed. Today I have a daughter and a son. My son wants a room of his own, while my daughter wants hers. I don't know what the genders of Mr Mohammad Charlie Jasni's family are, but will they not have concerns of privacy? 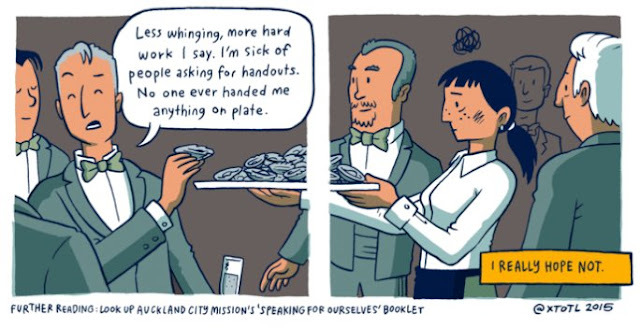 What's more appalling than the debate about being able to own a 2-room HDB flat, is the fact that there are still people in Singapore, who after putting in an honest day's work, earn less than $1000 per month. 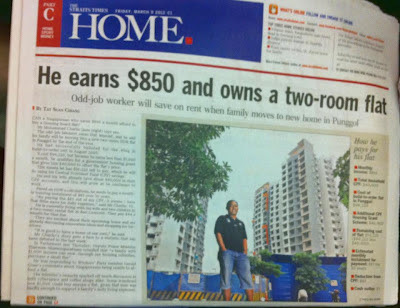 I really don't know where the pride is, in trumpeting Charlie got his 2-room flat, when in today's Singapore, he's still only earning $850. Back in the 80's there were plenty of 1-room, 2-rooms flats. Like you have rightly indicated, we are supposed to have moved from 3rd world to 1st world (according to the old man's memoir) and most of these flats in bucket metal and redhill were torn down to make way for larger units. Are we now going back from 1 st world t 3rd world in terms of housng?